First, the elections are being held after the ratification of a law granting Lebanese nationality to the offspring of expatriates, pushed for by the Alawite Free Patriotic Movement headed by Foreign Minister Jibran Bassel. The law may attract more Christian voters, since most Lebanese abroad are Christians. The third factor is the use of a preferential voting system in which each voter votes for one of the competing lists and then is entitled to cast a preferential vote for a single candidate from the same list. The preferential vote can only be applied if the candidate hails from the same district or constituency the voter comes from, and it is expected to benefit Christian voters who do not form the majority in many constituencies. 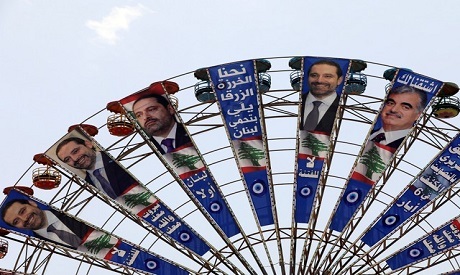 Lebanon’s legislative elections are bound to witness intertwining, if not contradictory, alliances. While tensions have lessened between old enemies the 8 March Alliance spearheaded by Hizbullah and the 14 March Coalition led by the Future Movement, there has been more bickering within each camp. Mustafa Alloush, a former MP and member of the political bureau of the Future Movement, described these best when he said they resembled short-term marriages. The negotiations meant that each party was trying to secure the biggest number of parliamentary seats, especially as some of the big players knew that the new electoral law would not necessarily work in their favour, he said. The alliances have gathered opposites together and forced allies apart. The dogma now is the pursuit of “parliamentary interests,” even if this means alliances between liberals and conservatives, civil society and government figures, and individual candidates and their political enemies. Parliamentary interests must come first. The strongest alliance includes Hizbullah and the Amal Movement headed by Parliamentary Speaker Nabih Berri. However, tensions are clouding the relationship between Amal and the Free Patriotic Movement, Hizbullah’s ally, headed by Bassel. While Hizbullah remains on good terms with both parties, the unease between Berri and Bassel is undermining the alliance, though not yet to the extent of skirmishing over constituencies. These tensions will naturally resolve themselves, and Berri, Jumblatt and Frangieh are working on counter-plans, betting that Hizbullah will not be happy to see its ally Bassel working closely with its enemy Al-Hariri. The repercussions will not only be domestic since Lebanon needs international support, and this is stirring up Hizbullah. The Lebanese Forces has sought to forge an alliance with the Free Patriotic Movement despite their differences after the Lebanese Forces helped Aoun to the presidency. The Lebanese Forces and Aoun were previously arch-enemies in competing to lead Lebanon’s Christians. The expatriate voting in the elections has also been mired in controversy in the light of accusations directed at Bassel, Aoun’s son-in-law, having to do with the leaking of data. The divisions on Lebanon’s political scene are likely to further sour the formation of any new government after the elections are over. With Berri sure to preside over the parliament, obstacles will arise when it is time to assign ministers, especially if each party does not win its previous seats.